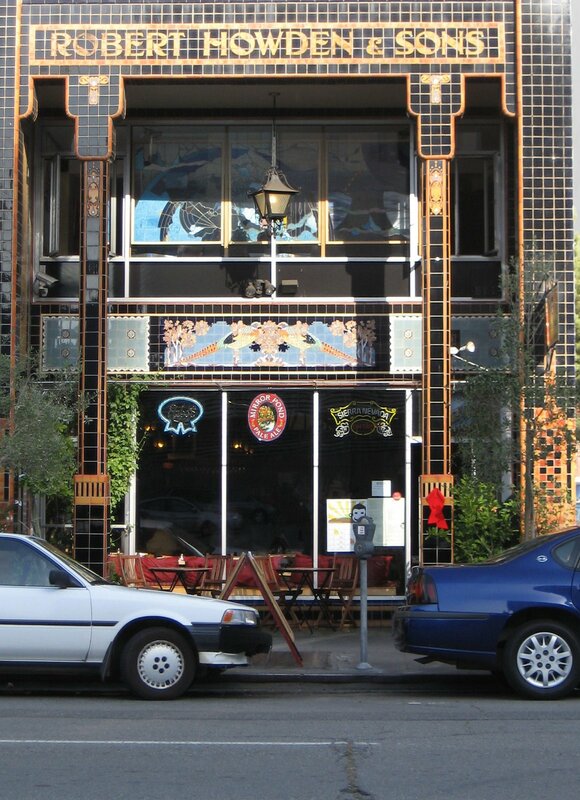 The Howden Building is located at 337 - 17th Street, Oakland, California. Designed by McWethy and Greenleaf, who also did the construction, the facade features Spanish Baroque and Moorish ornamentation. On the exterior of the building are many colorful tiles. 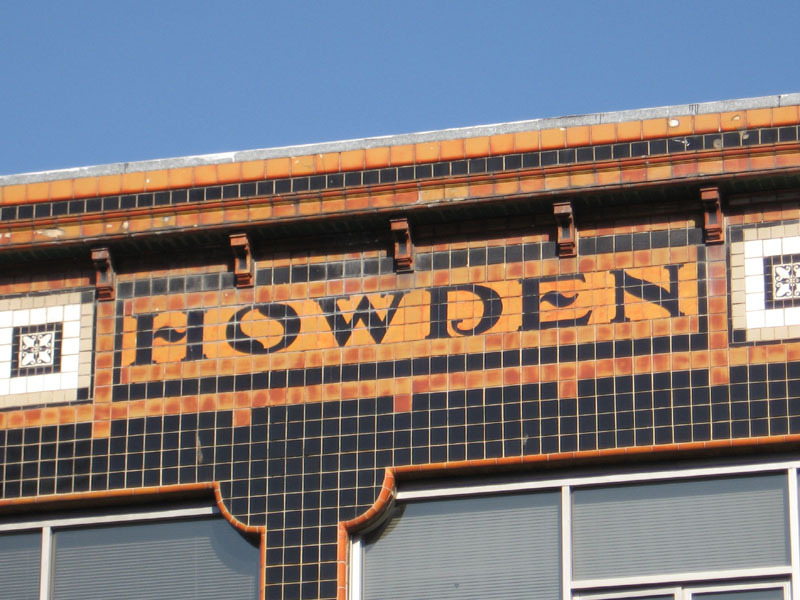 According to the Tile Heritage Foundation, the tiles were installed by Robert Howden, Sr., and three assistants, and the building was intended to serve as a monument to his career, as well as to encourage his sons to continue carrying on the business, then called Howden and Sons. Although some reports suggest that the business moved out of the building into Piedmont in 1927, 1 ads in the Oakland Tribune from the mid-1930s continue to list this address for what was then called the Howden Tile Company. Perhaps Mr. Howden, who lived in Piedmont, retired in 1927, and his sons renamed the business at the same time, leading to the confusion. In 1938, James Rolph III, candidate for lieutenant governor and son of a former governor of California and mayor of San Francisco, used the building as his Alameda County campaign headquarters. On November 13, 1984 the Howden Building was designated an Oakland Landmark, under Zoning Case #LM 84-290. Interesting fact: Robert Howden built a small castle in Ben Lomond, near Santa Cruz.